Home Building Centre – Vernon, specializes in supplying window and door packages for all of your new construction and renovation projects. We work with builders, contractors, designers and homeowners to achieve a final result that is a harmonious blend of energy efficiency, functionality, beauty and budget. We can supply many different brands and styles of windows, exterior doors, interior doors, lock hardware, skylights, mouldings and much more. We also have a Certified Custom Doorshop on site and we manufacture interior and exterior doors for new construction and detailed, custom doors for your renovation and retrofit applications. When it comes to windows, the choices are nearly endless. Since windows can make a significant impact on the overall style, comfort and efficiency of your home, we can discuss all the facts and options available to you and assist you in making the right decisions for your project. Climate conditions and other environmental factors are key criteria when it comes to selecting the right window. Vinyl (PVC), wood and metal clad are all common types of windows. Your choice depends on what factors and look are most important to you. As well as many frame types available, there is also numerous glazing options and window configurations for you to choose. Resale value is also a key consideration, beautiful, more efficient windows are a big selling feature. Exterior doors are available in an incredible variety of designs to match and home or design idea. From a basic steel door to ornate wood and fiberglass doors, we can help you find one for any taste and budget. The addition of sidelights and transom units to your door can transform any home into a showplace. Since we make your doors here, you can have complete input into the design, style and desired finish options of your finished product. 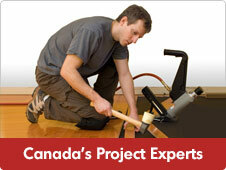 We are one of the Okanagan’s largest supplier of interior doors. We have a comprehensive showroom where we can introduce you to all the existing and new door styles available. With our vast assortment of styles, species and finishes available, our selection of interior doors will suit any need or budget. We also have a great stocking door program with several prehung styles of interior and exterior doors for your immediate purchase and to take home with you. In our Custom Doorshop and assembly plant, our professional door experts can design and build doors for any requirement. 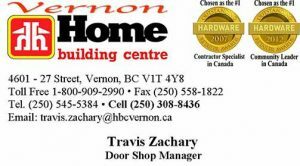 In addition, we can show you many brands of door locks and hardware and help you with styles and finishes to assist you in making the best decisions for completing your home. We also key your locks and prepare your lockout hardware packages for you.